Finally, a ramen place in Philadelphia that we mostly seem to agree on. Nom Nom Ramen popped up quietly in center city. It was soft open for awhile, and now is open for lunch and dinner. 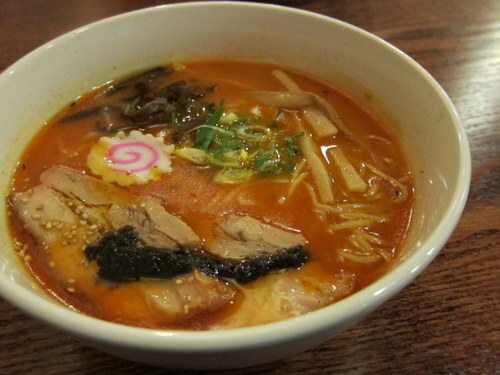 And diners, rejoice in their ramen goodness. The menu is starkly simple – RAMEN. Plus pork buns. And that’s it. The pork buns are delicious. 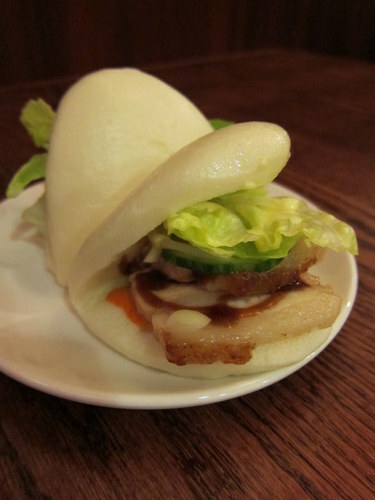 They surely give momofuku a run for their money, plus you don’t have to take a trip to NYC. Moving onto the ramen! Here’s the original Shio, which is the salt broth. 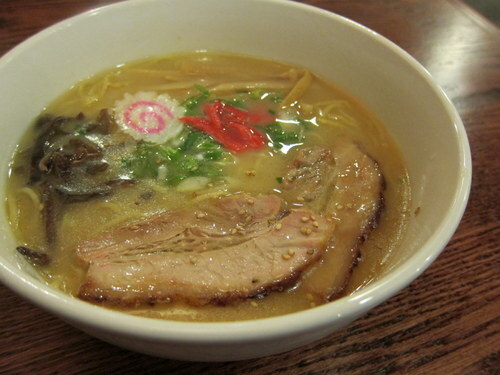 It’s seasoned with salt and white soy sauce, but is all based on the tonkotsu broth. What’s tonkotsu broth? Pork, baby, pork. Pork bones, to be exact. And that’s just what this broth is – porky. There’s really no other way to describe it. It tastes, looks, and feels porky. It leaves that slickery pork residue in your mouth. It’s thick, fatty, and porky. This comes with chashu, kikurage mushrooms, naruto, bamboo, scallions, and pickled ginger. I’d never had a salt broth ramen before, so I was a bit wary. But it’s delicious. I always love me the spice, so I got the Spicy. It’s the same tonkotsu based broth, but spicy, with chashu, bamboo, kikurage mushroom, naruto, scallions, and Nom Nom Black Garlic Sauce drizzled on top. This is a delicious bowl of food. Spicy, but not too spicy, and of course, porky as heck. There’s a nice helping of firm noodles. There’s much more noodles than the other ramen joint, which I felt was serving out a paltry serving of actual noodles. It made me happy that Nom Nom doles out a fair portion. I am a fan of this place and their food. It’s very casual, where you order at the counter and then you pick it up. It’s no muss, no fuss, with delicious porky treats.